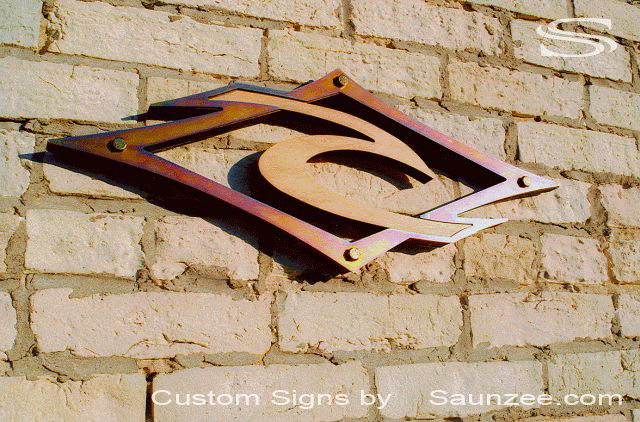 Saunzee Custom 3D Laser Cut Out Off Set Sign, Painted Silver Black Industrial Look Sign. 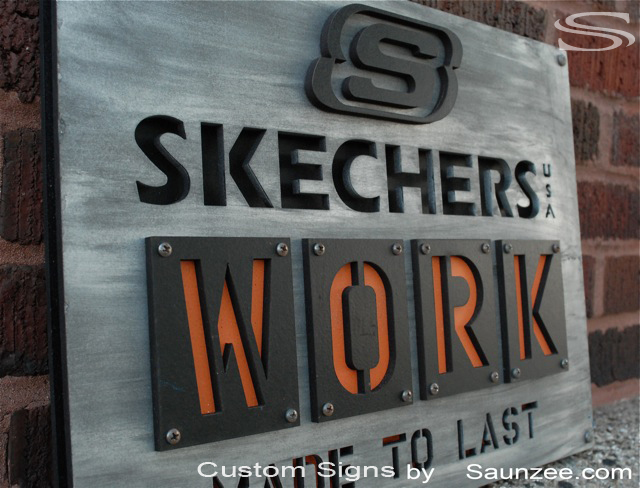 Skechers Work Shoes - Visual Marketing POP Advertising Sign. 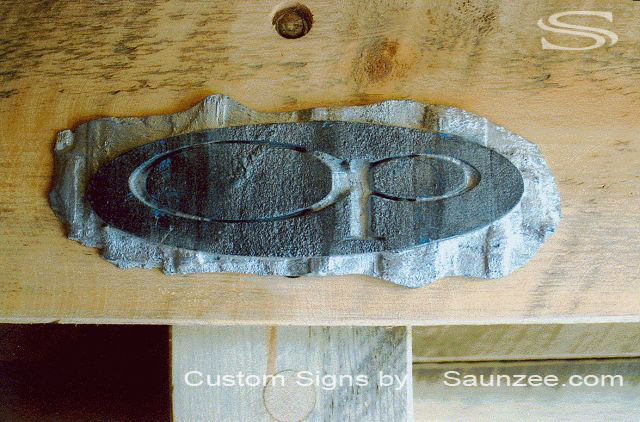 Saunzee Custom 3D Laser Cut Out Steel Sign Off Set Silver Logo Bolted to Black Backer Steel Plate. 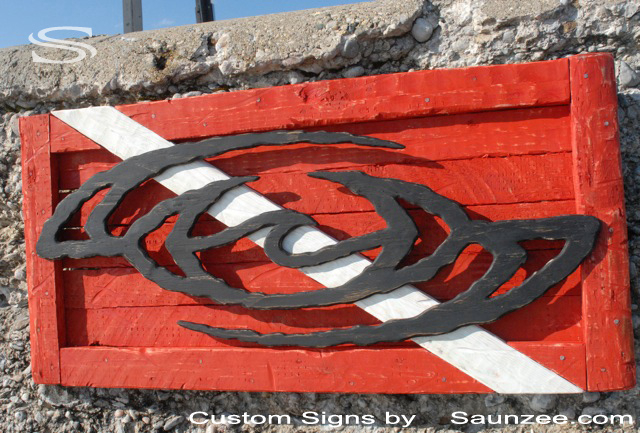 Saunzee Custom 3D Diver Down Sign Wooden Sea Crate Rustic Rugged Wood Sign. Size L4'x W2.5'x D3"
Ocean Slave Dive Sign - Out Door Dive Shop Sign OceanSlave OS Logo Mounted on Top. Classic American advertising signage, Soda pop sign, Food beverage service signage. 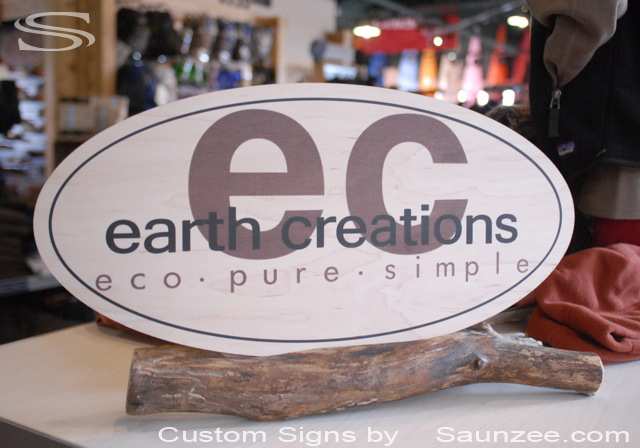 L41"x W1/2"x H13 3/4"
Earth Creations Sign - In Store Table Top Display Sign, Visual Merchandising Signage L19"'x W9"'x D1/4"
Saunzee Custom Signs Unick Hand Carved 3-Dimensional Green Cartoon Characters Sign. 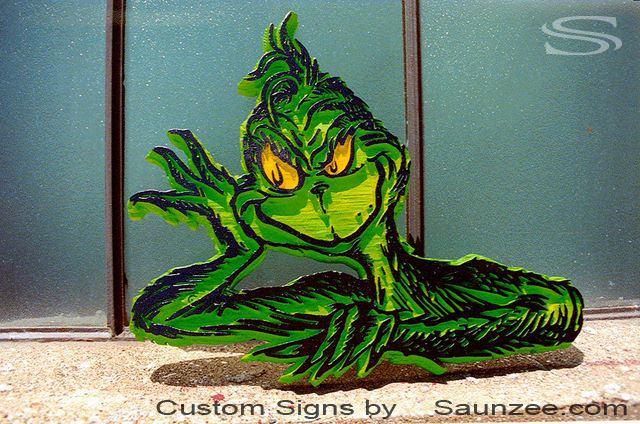 L26"x18"x D1"
Dr Seuss The Grinch Sign - Retail Visual Merchandising Displays Prop Point of Purchase Sign. 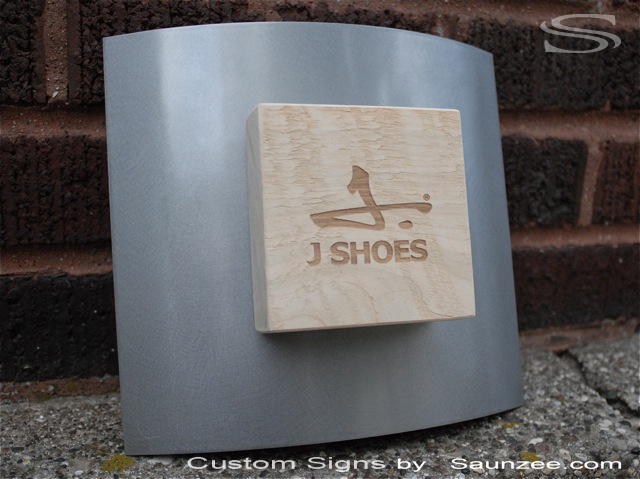 Saunzee Custom Signs Laser Cut Out Sign Silver is Off Set from Sign Backer. 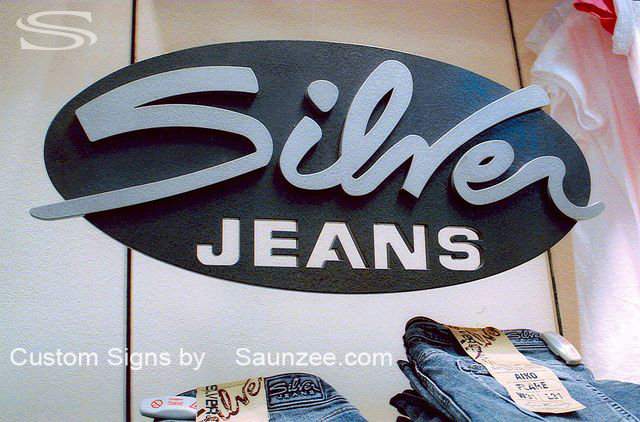 Size L20"x W12"'x D1"
Silver Jeans - Strip Mall indoor Store Visual Merchandising Displays signage. 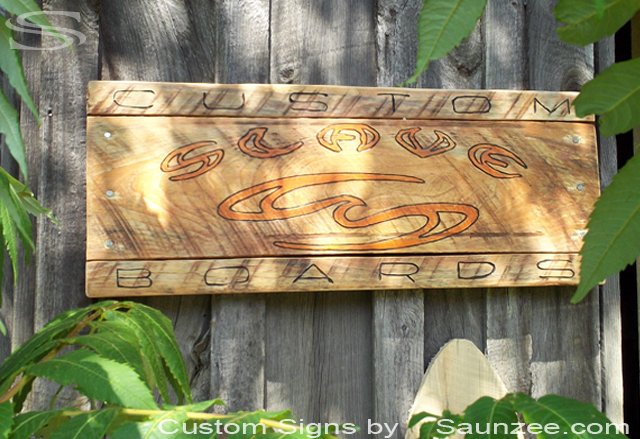 Wooden Slave Skate Decks Sign, Slave Skateboard Shop Signage. 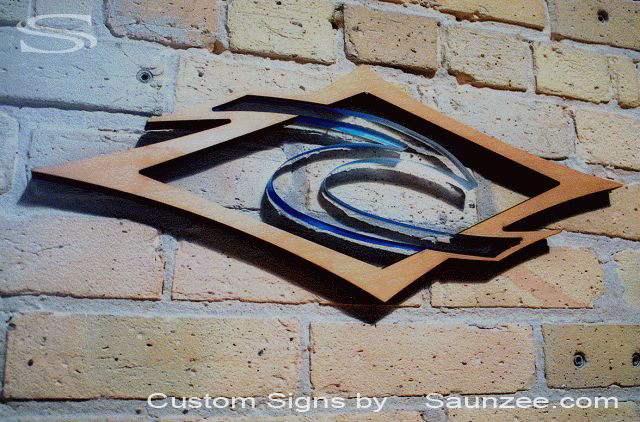 Saunzee Custom Signs Laser Etch Wood Sign Mounted on Curved Steel Backer. 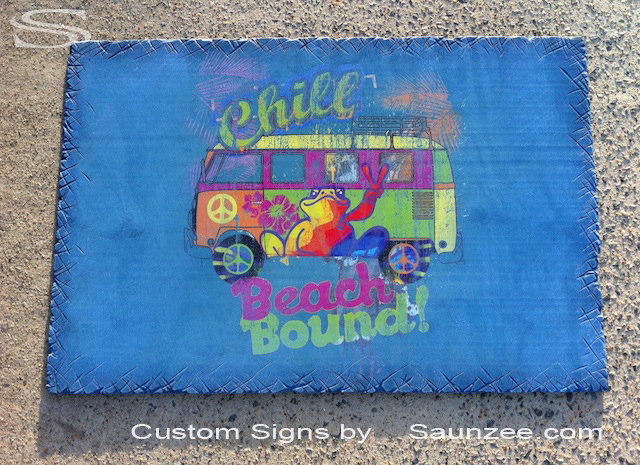 Size L8"x W8"x D2"
Saunzee Custom Signs Weathered Screen Printer Laser Etch Maple Wood Sign. Size L24"x W6"x D1/4"
Ocean Slave Surf Sign - Promotional Advertising Sign For Surf Shops. 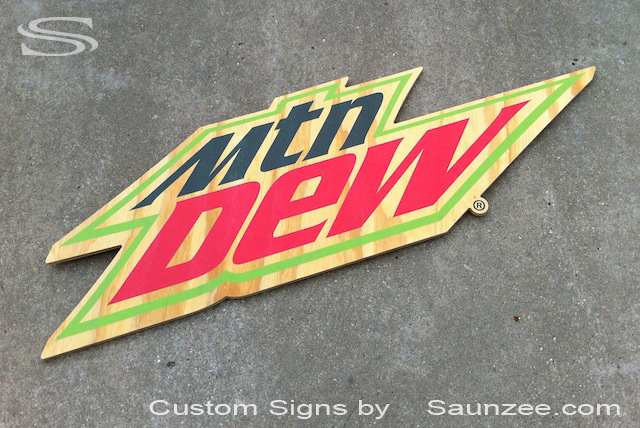 Saunzee Custom Signs Carved Wood Look Injection Molded Foam Sign. 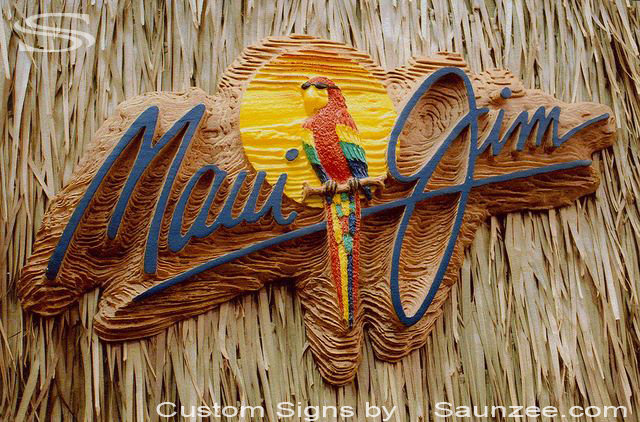 Size L27"x W15"x D2"
Maui Jim Sunglass Sign - Sunglass Hut Visual Marketing Sign Advertising Sign. 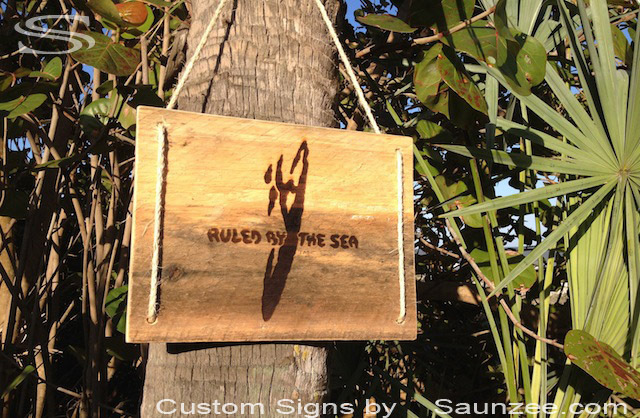 Salt Life Sea Boy Wood Burn Longboards Surf Sign Size L18"x W1"x H12"
Hobie - Merchandising Rack Header Photo Add Sign. 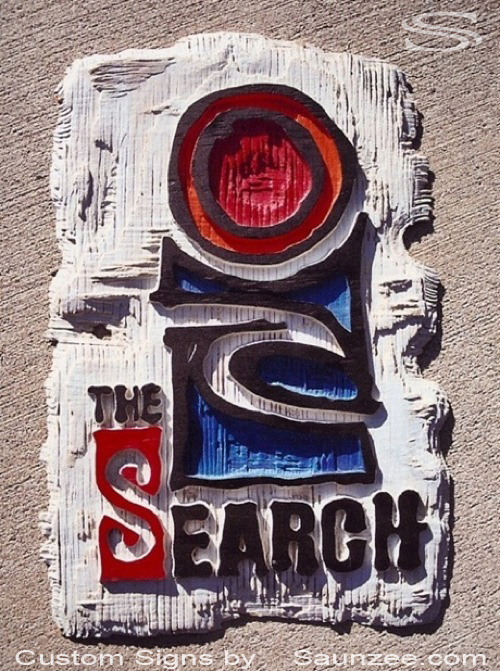 Saunzee Custom Signs 3D Sign Rugged looking Back Ground L18"x W12"x D1/2"
Rip Curl The Search Sign - Surf Shop Signs. 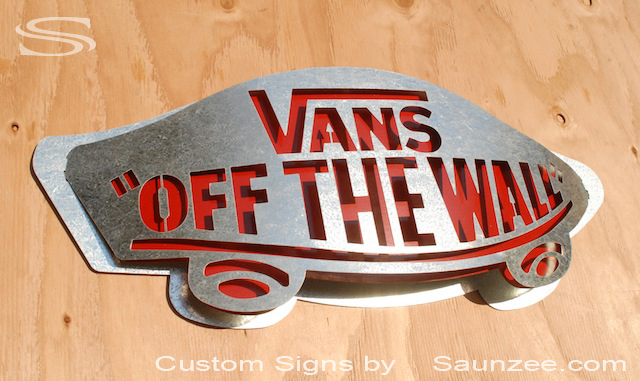 Saunzee Custom Laser Cut Out Tin Metal Sign 3D Offset Curved Face Sign System L26"x W10"x D3"
Vans Off The Wall Sign - Skate Shops Signage POP Promotional Advertising Sign. 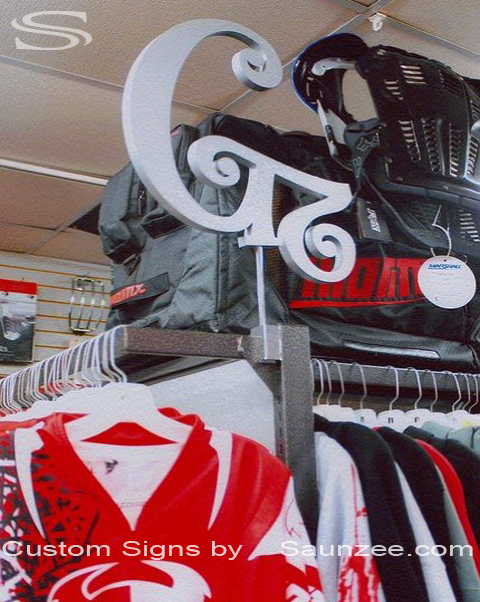 Hayabusa-Fightwear Sign - Merchandising Display Rack Header. 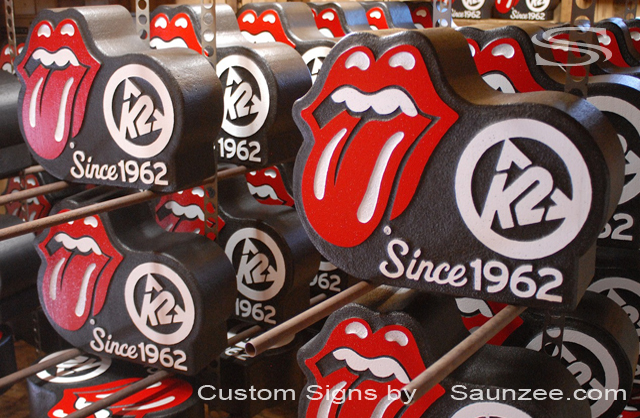 Metal Sign, Surf Logo Signs. 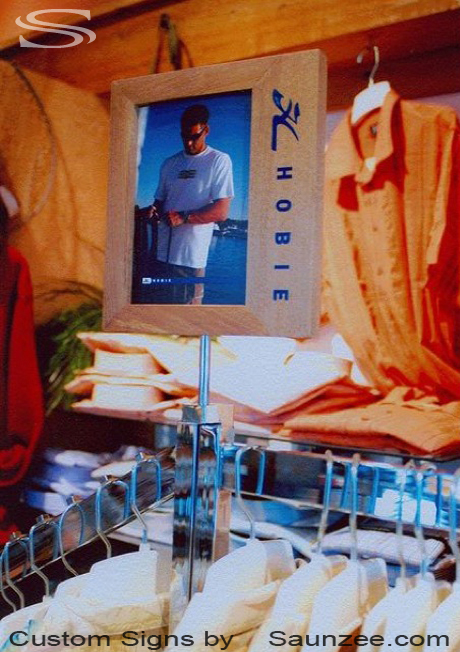 Surf City Signs, Board Shop Signs, Rip Curl Signage. 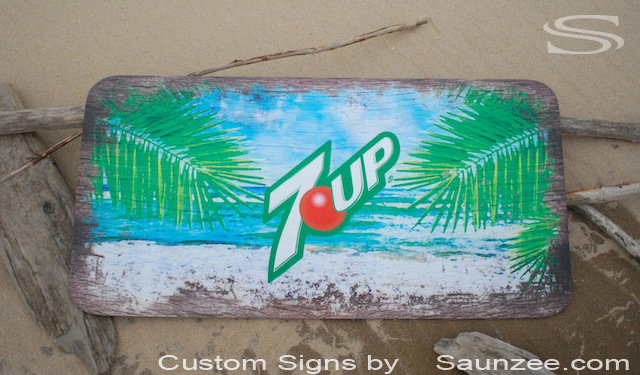 Size L26"x W1/8"x H9"
Saunzee Custom Signs Unick Rugged 3D Sign Crushed Aluminum Looking Sign Size L12"'x W4"x D1/2"
OP Ocean Pacific Sign - Surf Shop Sign. 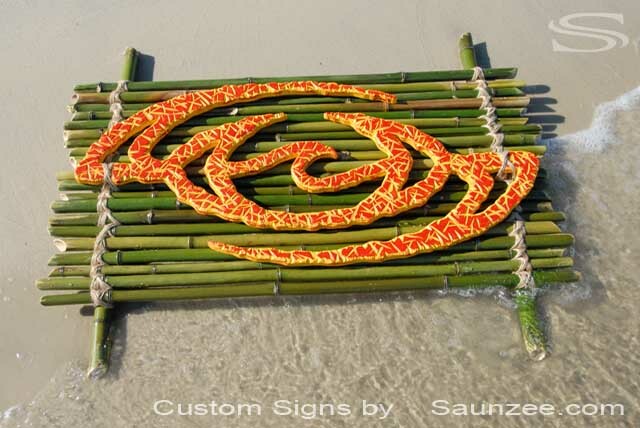 Out door island hut sign, Hand made tropical signs. 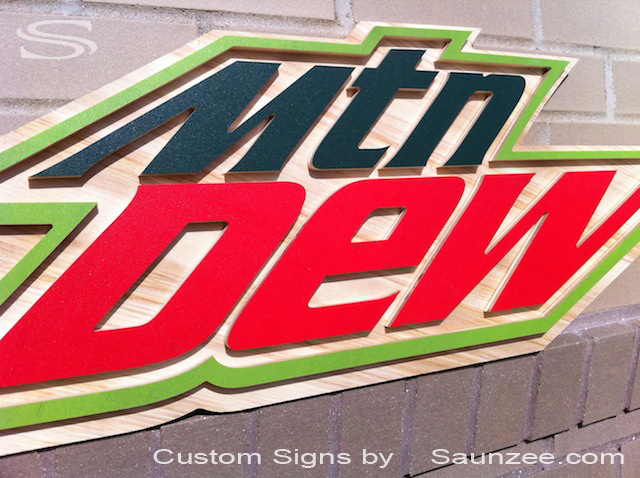 Saunzee Custom Signs Laser Cut Out Sign 3D Layered Maple Ply Wood Sign Size L48"x W12"x D1/2"
Ride Now Power Sports Sign - Moto Sports Retail Store Sign. 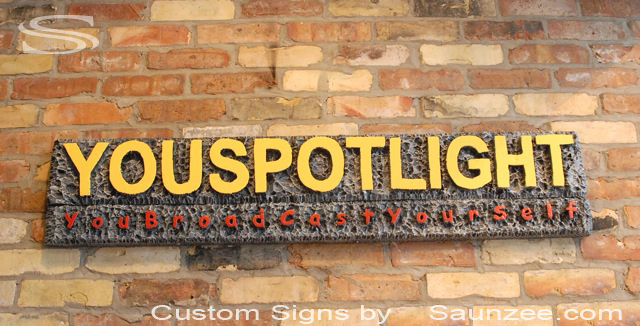 Saunzee Custom Signs Carved HDU Sign•Foam Rased Letters Stone Looking Sign Size L4'x W10"x D2"
You Spot Lignt You Broad Cast Your Self Signage - Lobby Signs Business Sign Conference Room Signage. 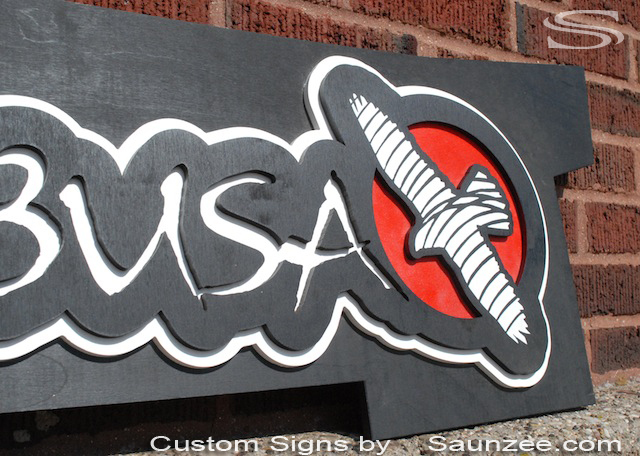 Saunzee Custom Signs Laser Cut Out Seethrou Sign Painted Silver Aluminum. 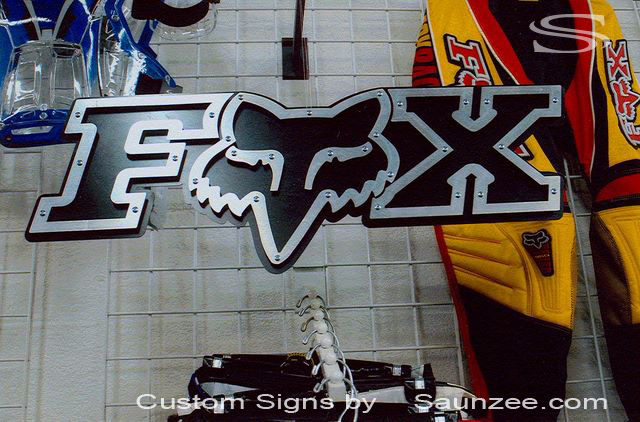 GTZ Girls Moto Sign - Motocross Shop Merchandising Rack Post Sign. 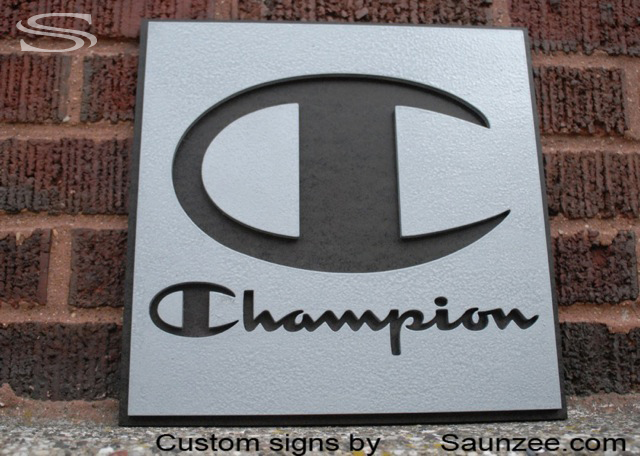 Saunzee Custom Signs Laser Cut Out Aluminum Look Sign Mounted on Black Backer L15"x W15"x D1/4"
Champion Signage - Instore Visual Merchandising P.O.P. Sign. 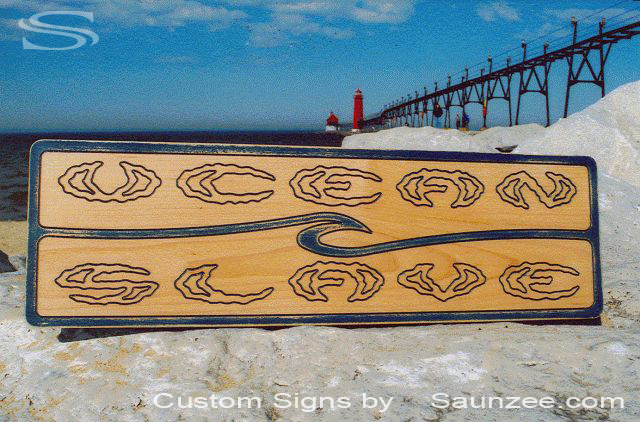 Saunzee Custom Seethru Laser Cut Out Sign, Acrylic Wave Maple Wood Sign. Size L21"x W8"x D1"
Rip Curl Sign - Surf Store-Signage, Conference Room Sign, High End Looking Sign. 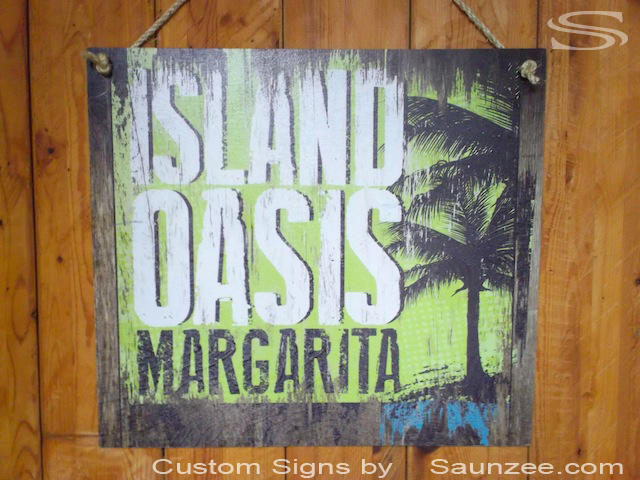 medium in order to promote sales or attendance, Island Oasis Margarita. 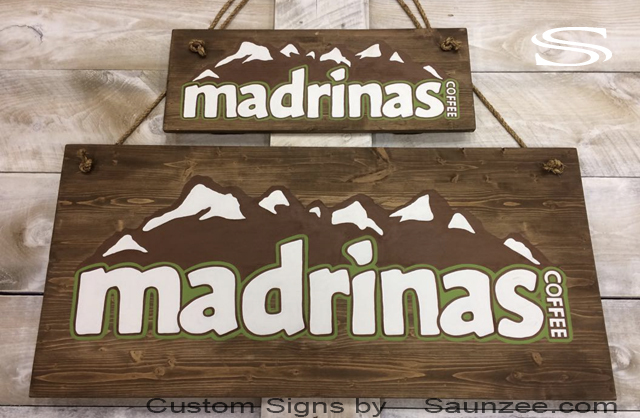 L16"x W1/2" x H14.5"
Saunzee Custom Signs Pine Wooden Hand Painted Sign Coffee-Shop Signs madrinas coffee Sign.